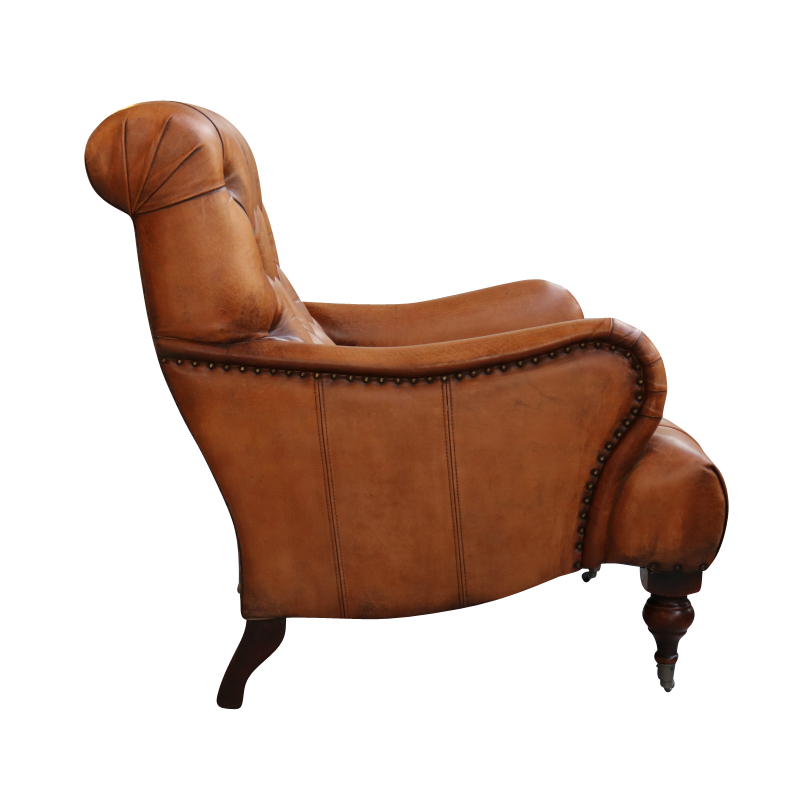 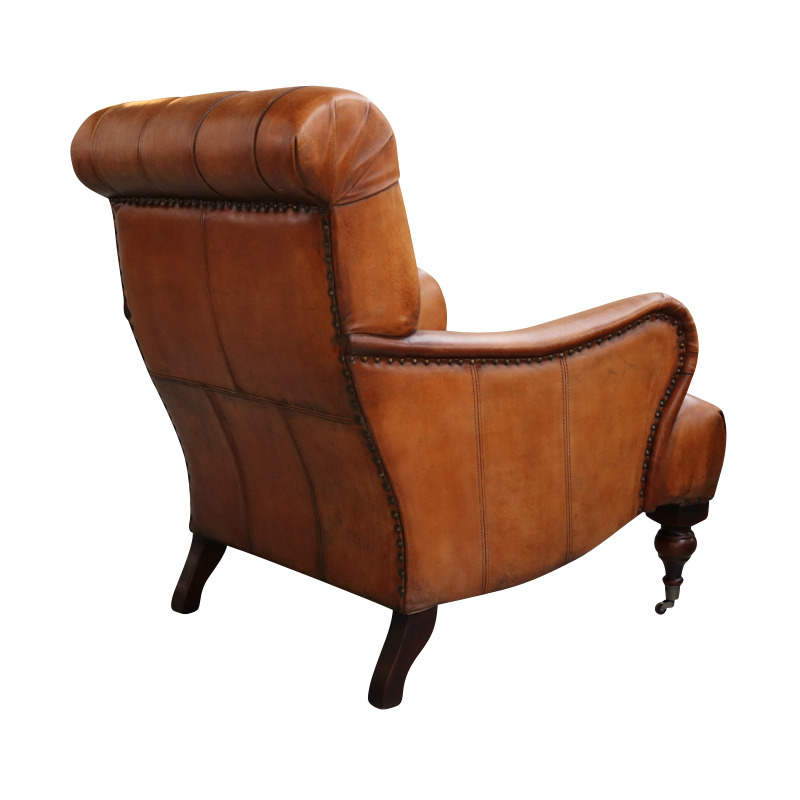 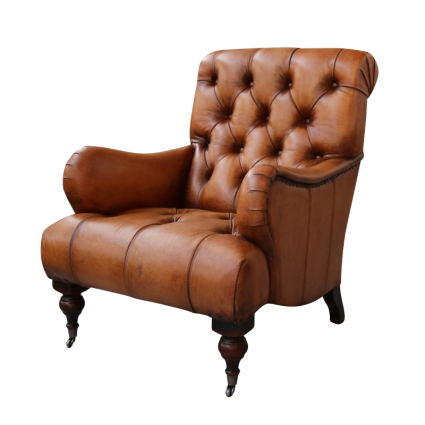 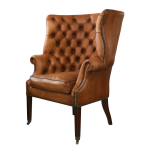 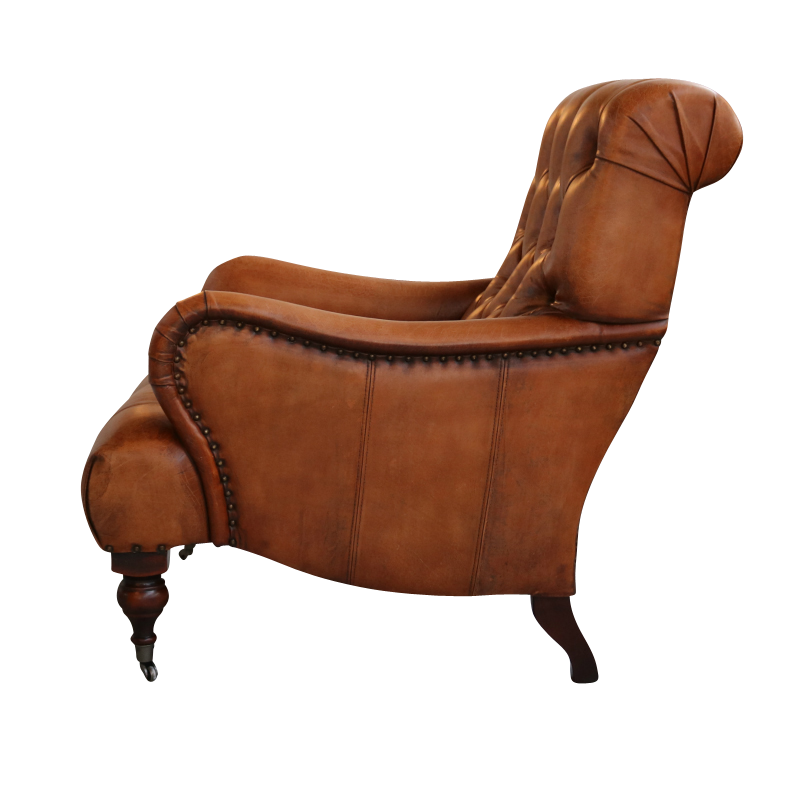 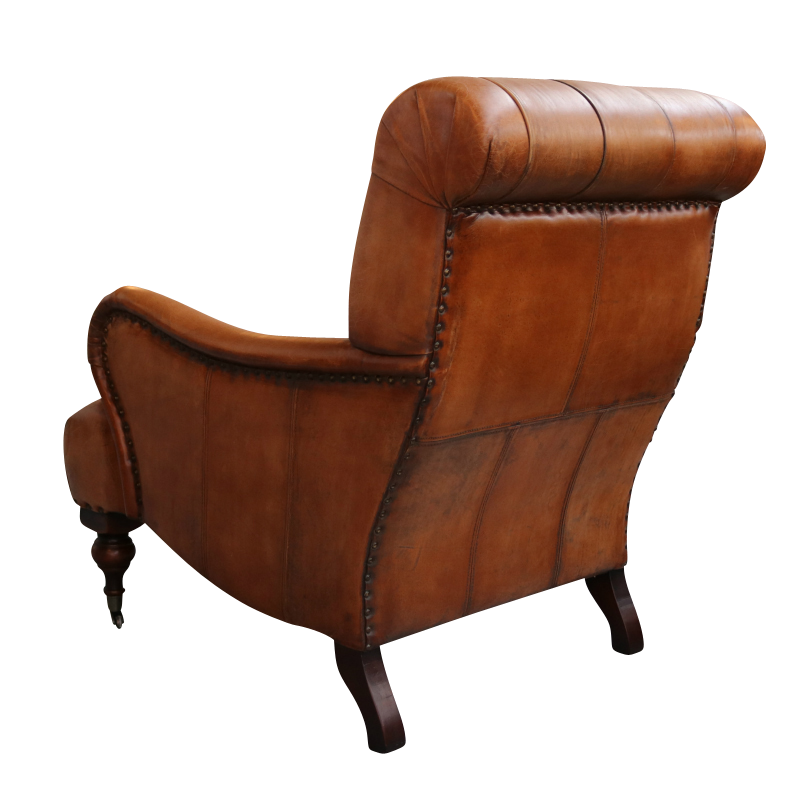 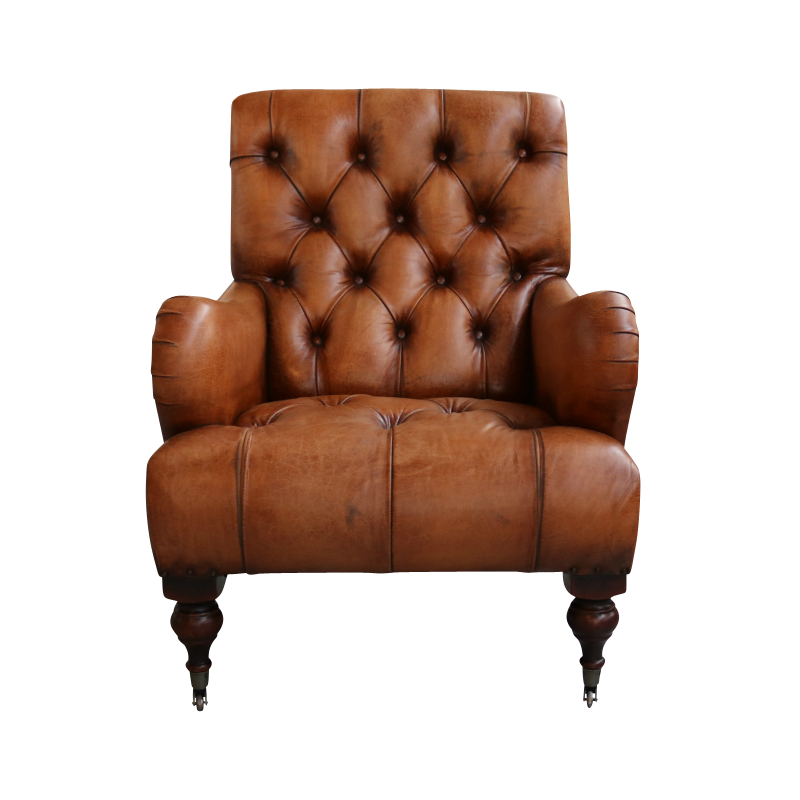 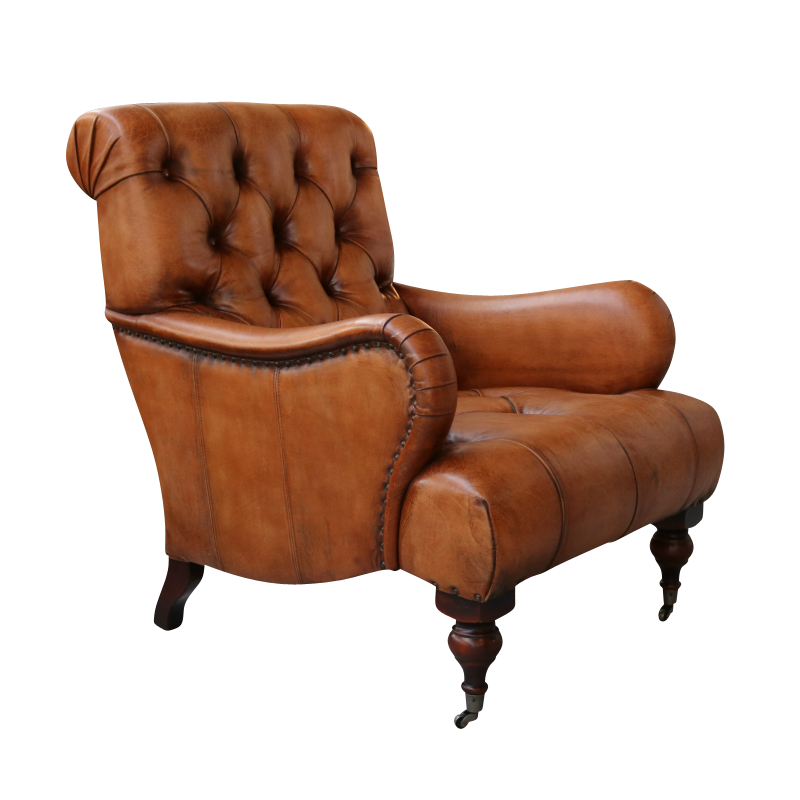 This High Back Leather Chair's design harks back to the Edwardian style of the early 20th Century. While still retaining classic elements of earlier Victorian furniture it has a more relaxed appearance. 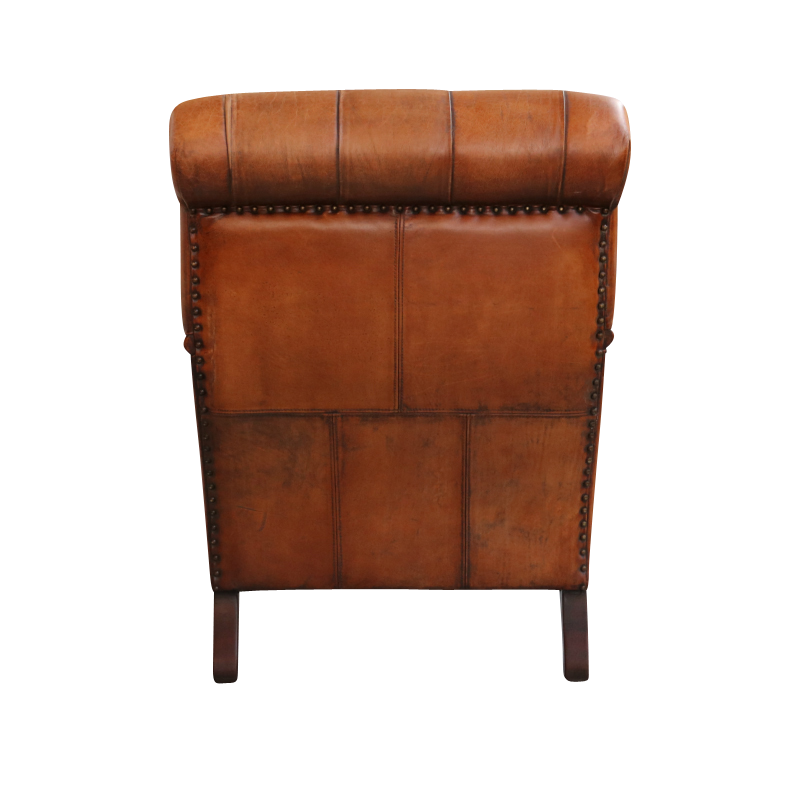 Generously proportioned and comfortably supportive, it is finished in antiqued leather and features turned legs on castors at the front.